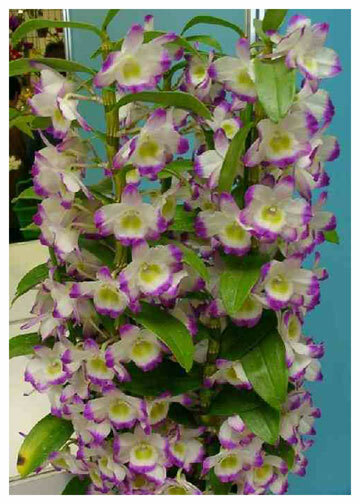 A new trend in nobile Dendrobium breeding, this compact grower is enhanced by rich lavender-pink flaring/flush on the tips of all its segments, the flowers further highlighted by bright yellow in the lips ! 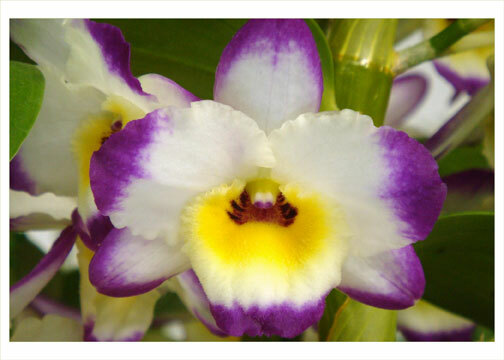 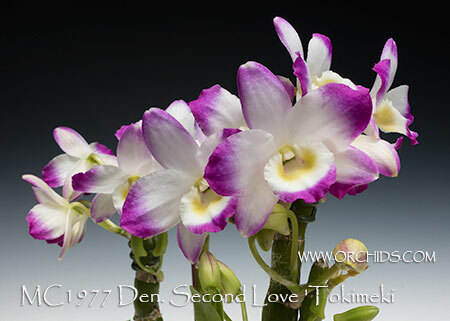 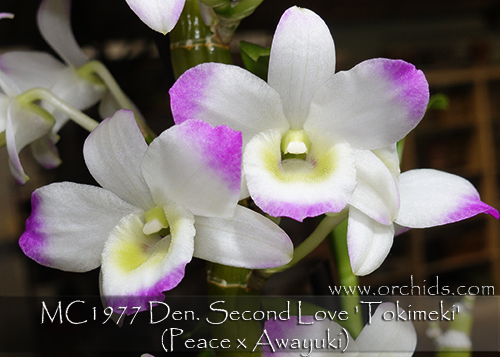 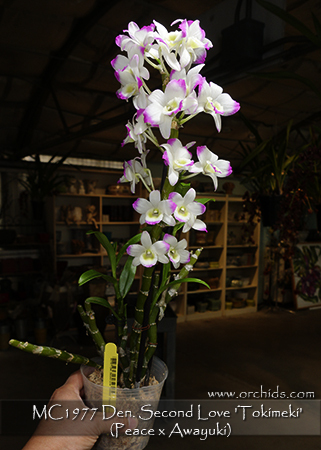 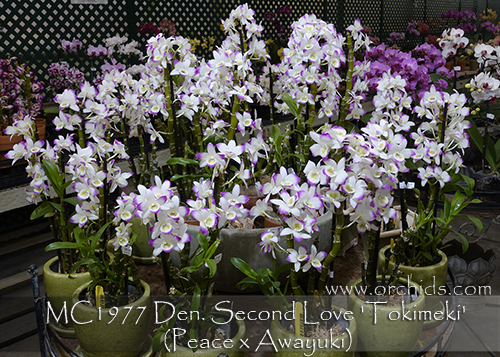 This population came from a boutique breeder of nobile Dendrobiums and carries a wonderfully sweet fragrance. 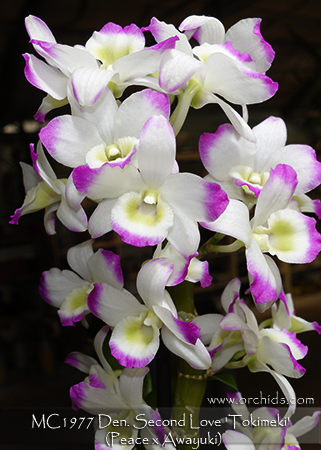 At our nursery in southern California, we grow them outdoors in temperatures ranging from 110o F down to a low of 35o F. For the newest direction in nobile breeding, this is Highly Recommended !